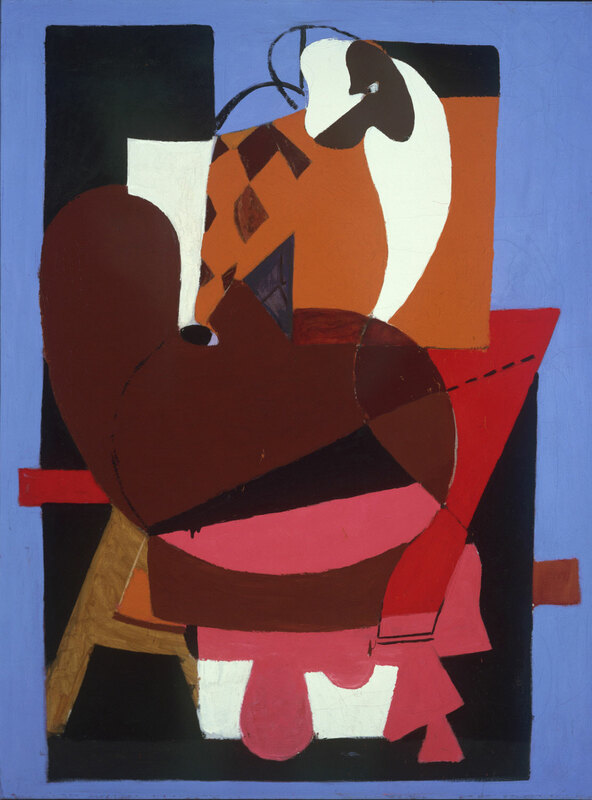 Stuart Davis, upon his return from a lengthy stay in Europe, met Arshile Gorky in 1929. Even though Gorky was ten years younger than Davis, the two became great friends, perhaps due to their unwavering devotion to modern art. At this time, Davis was particularly dedicated to Pablo Picasso's Cubism; Gorky quickly followed suit, writing in 1931, "Has there been in six centuries better art than Cubism?" With its simplified forms and bold color, this work experiments with the vivid patterns and flattened shapes prevalent in Picasso's Synthetic Cubist paintings such as Three Musicians.